Because…. I now have a spinning wheel! It’s great. My first ever wheel is an Ashford Kiwi, a very nice beginners wheel. I love how fast it is! This afternoon I spun an entire bobbin full of yarn. That same amount of yarn would have taken me days to do on the drop spindle. We bought this wheel at half price at a tiny yarn shop the next town over, an excellent deal. While we were there we picked up a beautiful braid of Blue Faced Liecester fiber, which the lady at the shop recommended for a beginning spinner. 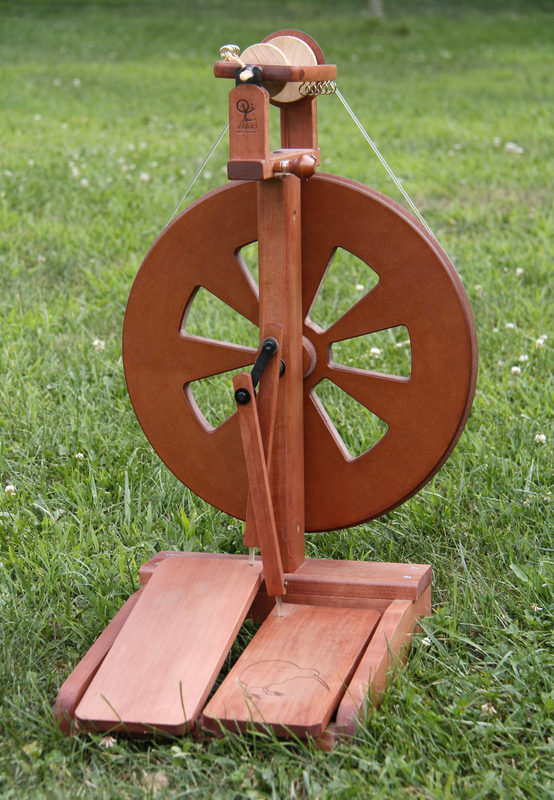 It’s a double treadle wheel, which I like because it feels more balanced than a single treadle. It’s also in the upright “castle” style I like. 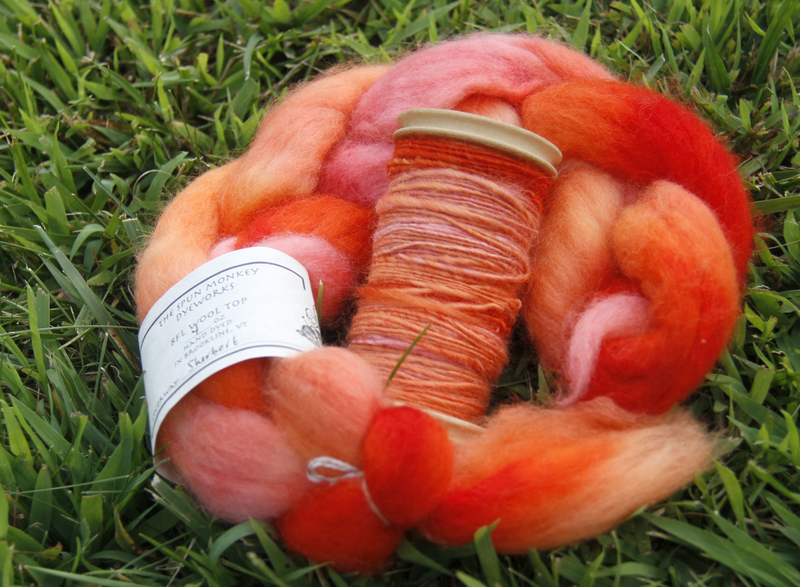 I love this fiber, it’s a joy to spin. I’m excited to try different styles of spinning and plying with this wheel, and later on if I want to spin bulky art yarn, Ashford makes a jumbo bobbin and flyer attachment.